In this guide we'll share what we've seen so you can try them out for yourself. As you read the tips, you'll notice many of them are tips for a better app. That's on purpose. Apple is rewarding apps that do it right and offer a delightful experience. When a potential user finds your app, they first need to ensure it solves the problem they have, and visuals do that very well. Leverage your screenshots and App Preview videos to highlight the most important things about your app. Don't go overboard, remember Apple prefers simplicity. Users need to be able to understand what your app can help them with when they look at its name. Make sure your app's name does that. If you have a "clever" name for your app, make sure that you also state what it does. For example, which of the following two names tell you what the app does faster? "TinyClouds" or "TinyClouds: A beautiful weather tracker"? Apple allows you to specify the keywords you think the app should show up in search results for. It's a pretty powerful feature. But, there's a limit on how many keywords you can use so you need to use it wisely. You can aim for generic terms that are more common but also have more competition, or choose long-tail keywords that are more niche but easier to rank well in. It's up to you to find the right keywords for your apps, and if you handle them well Apple will notice. 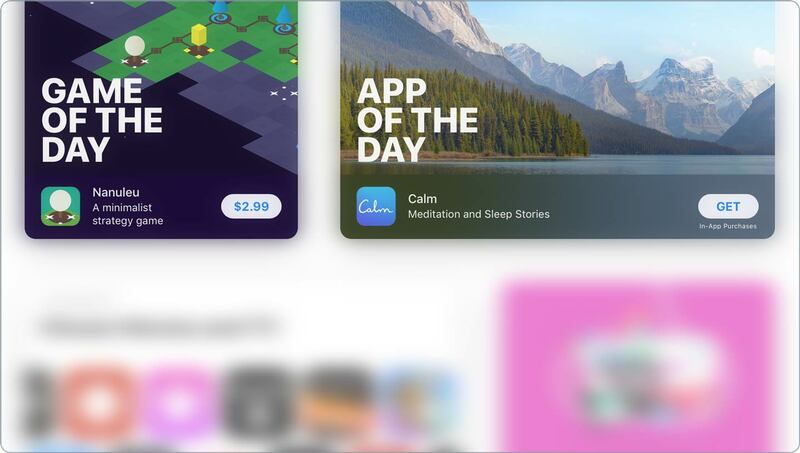 It's well known that apps that use Apple's latest features get more love when it comes to getting featured, and it makes perfect sense. If Apple is pushing a new technology, say AR, apps that leverage that technology in creative ways really help Apple. Using Apple's tech is a surefire way to advance your app ahead of the rest. Being different than your direct competitors requires knowing what your competitors are doing. Take time to explore their App Store presence, what their icon is like, how they present their app, and what kind of visuals they use, and craft a presence that's unique. If you can, use a different color, highlight features they don't, and use language that clearly sets you apart. Apple's DNA revolves around simplicity, and the apps they tend to feature seems to follow that mindset. If your app is already designed with that in mind great! If it isn't, taking the time to simplify the design can go a very long way. If you need inspiration, check out other apps that are currently featured. There's an app for everything these days, so providing a good solution requires more than just features. It also requires a great customer experience. App reviews are a great way to improve your product. You users use reviews to tell you what's not working or what you can do to make the app better. By reading and replying to reviews Apple knows you're committed to offering a great solution to your users. No single piece of code is ever complete (or bug free). Leverage small and more frequent releases to ensure the app works well for every user and also to improve the experience and delight your users. It doesn't have to be a brand-new feature with every update, but leveraging feature requests will go a long way. It'll also show Apple you're dedicated and can handle the new users that'll come with being featured. Good apps have a high rating. That's the democratic nature of the store. Apple prefers to feature apps that have a higher average star rating because it means users are more likely to download and use those apps. You can get more ratings by asking your users to rate your app using the built-in ratings prompt in iOS. It's a breeze to set up and has helped many apps grow their ratings quickly. Apple seems to like apps that speak to more users (pun intended). A native experience is a much better experience for more users, and Apple seems to reward that. Apple provides a form you can submit to request they review your app for a feature. That's right, you can ask Apple. And you should! If you've followed the tips above you'll have a very compelling reason for Apple to showcase your app. Apple wants to feature apps that have a story behind them. Whether it's who you are, why the app came to be, or how it helps its users, make sure your answers to this form aren't a list of features but rather a story about an experience. For inspiration you can check out some of the apps and games that are currently featured.